You may have heard about a not-so-little thing called the Package Travel Directive? This new EU Directive essentially updates the previous one thereby providing even more benefits for consumers who like to book package holidays, either pre-arranged or customised, and it also covers linked travel arrangements. However, there’s still a lot to get your head around, particularly in relation to linked travel arrangements – like, what the heck does that even mean right? While trying to figure that one out, you probably also want to know exactly what new benefits or rights this EU Directive gives you when booking that next package holiday? Well, we’ve put together some basic questions and answers to help shed some light on this. This month’s consumer success story tells how ECC helped an Irish consumer get reimbursement of more than €700 for hotel accommodation that was far from what was described. The consumer query of the month explains how it may not always be possible to get a refund for hotel accomodation (that’s not part of a package) when you’re unable to use it. Download a PDF version here or read on! Q1: What exactly is the new Package Travel Directive? Well, without getting too heavy, the new bit is the Directive (EU) 2015/2302 on Package Travel and Linked Travel Arrangements – it just flows off the tongue, doesn’t it? This extends the protections previously provided by the 1990 EU Package Travel Directive, which was implemented in Ireland via the Package Holidays and Travel Trade Act 1995, to reflect the modern travel market. Q2: How did this happen and why? 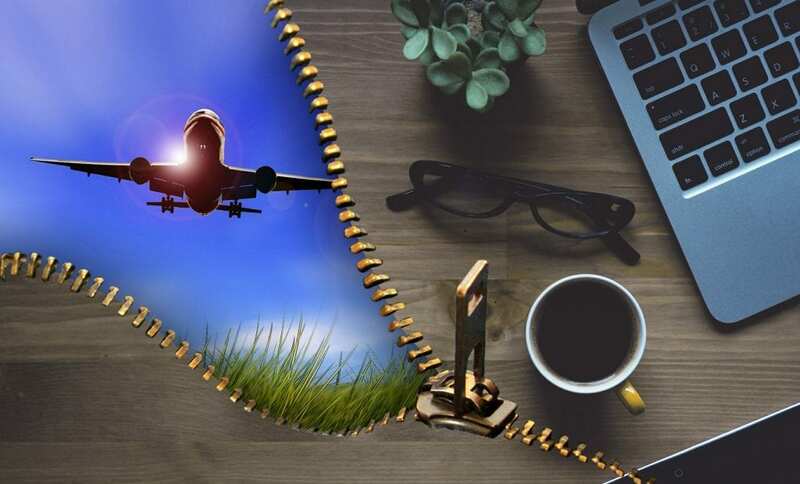 Due to the dramatic evolvement of the travel market in recent years (online travel agencies, comparative rates websites, niche tour operators, and customised travel arrangements), the European Commission saw a need to update and amend the existing Directive. Draft law was then voted on and agreed by the European Parliament in early 2014 before talks with Member States on the final wording of the directive. In May 2015, the European Council confirmed a political agreement on the reform of the Travel Package Directive. The Directive then entered into force on 31 December 2015 and became applicable EU-wide from 1st July 2018. Q3: How does it help consumers? It helps consumers quite a lot if you like a bit of flexibility when booking different elements of a holiday, particularly online. The new Directive represents a move away from the more traditional pre-arranged travel package. It aims to bring trading standards and consumer protection in line with the changing market. According to the European Commission, an estimated 120 million consumers book other forms of combined travel each year and the new Directive will reduce consumer detriment costs by €430 million per annum across the EU. Q4: What types of holiday bookings are covered under the Directive? The new Directive applies to three types of travel arrangements. These are traditional pre-arranged packages, customised packages, and linked travel arrangements. Other tourist services – for example, tours/excursions/guides or tickets for concerts/theme parks. Customised/dynamic packages – In this type of package, it is the consumer who selects the components of the holiday, therefore, it is not-prearranged. The booking must be purchased from a single point of sale, either online or offline, and all the components must relate to the same trip or holiday. A single contract for all services. Purchased from a single point of sale. All services must be selected prior to agreement to pay. There must be an inclusive/total price. This is a completely new category which, although not considered a package, now has some protections under the new Directive; in situations where the provider of the first service goes bankrupt by providing a money-back guarantee and, where appropriate, repatriation. According to the Directive, a linked travel arrangement means at least two different types of travel services purchased for the same trip or holiday, not constituting a package, resulting in the conclusion of separate contracts with the individual travel service providers. The second contract is concluded on the second website within 24 hours of the first booking. The second trader must inform the first trader that a contract has been concluded. Q5: Has the new Directive provided any other benefits for consumers? Supply of pre-contractual information – Pre-contractual information must be provided to advise the consumer if there is the possibility of a linked travel arrangement arising via a ‘click-through’ booking. This information should be provided even when the contract between the traveller and the second trader is not concluded or, if it is concluded, no later than 24 hours after the confirmation of the first reservation. Cap on price increase of eight per cent – An increase higher than eight per cent gives the traveller the right to cancel without a charge being applied. Right to transfer – The traveller can transfer to another traveller once the incurred costs are covered. Increased accountability – The organiser must try to resolve an issue if something goes wrong with the package. Traders will be made explicitly liable for booking errors in relation to packages and linked travel arrangements. Right to assistance if in difficulty – The organiser must provide information regarding healthcare, local authorities and consular assistance, and assistance for communications and alternative travel arrangements. Right to rectification of issues – The traveller has the right to have issues rectified whilst on holiday and may be entitled to compensation for the inconvenience. Financial guarantees in the event of package organisers or suppliers of linked travel arrangements going out of business – Pre-payments protected and repatriation (if appropriate) are covered. Stronger cancellation right – Travellers may cancel their booking within a reasonable time prior to travel. However, justified cancellation fees may be incurred. Free cancellation in instances of unavoidable and extraordinary circumstances – The traveller has the right to cancel the contract before the start of the package without paying any termination fee in the event of unavoidable and extraordinary circumstances such as national disaster, war, terrorism, disease, or serious conditions at destination. The traveller’s personal circumstances should be considered when deciding if unavoidable and extraordinary circumstances has occurred. The organiser is also responsible for covering the costs for repatriation and any possible extra costs. Q6: Are there any circumstances where my holiday wouldn’t be covered by the Directive? Packages/linked travel arrangements lasting less than 24 hours, unless overnight accommodation is included. Packages/linked travel arrangements organised on a not-for-profit basis and, only offered occasionally and, only offered to a limited group of travellers. Packages/linked travel arrangements purchased via general agreement for arrangement of business travel. An Irish consumer booked hoilday accommodation through a third-party marketplace website. However, the accommodation was not as described on the trader’s website; the consumer said it was filthy and unsafe, there was no hot water and there was also a construction site nearby. He complained on site to the hotel owner but nothing was done and so, the consumer contacted the third party trader and was subsequently moved to different accommodation for the rest of his stay. On behalf of the hotel owner, the trader offered reimbursement of €743, however the consumer encountered significant problems getting this payment and the trader eventually stopped responding. ECC Ireland sought the assistance of colleagues at ECC Netherlands who liaised on the consumer’s behalf and the trader provided a full refund. Q: I booked two rooms for two nights for a trip to London. Unfortunately, the Beast from the East snowstorm meant that our flight was cancelled. As a result, I was not able to use the hotel rooms. I contacted the hotel, but they refused to refund me threatening that a cancellation fee would be charged. I understand that the rate I had booked the rooms was on a ‘no change, no cancellation’ basis but I had not changed nor cancelled, it was because of the storms! It was impossible for us to use the rooms through no fault of our own. I booked through a third-party site who tell me that a refund would be entirely up to the discretion of the hotel. Is this right? 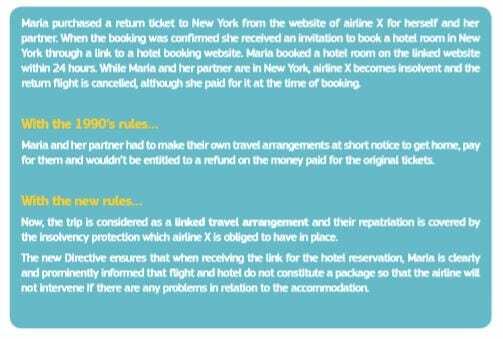 A: Unfortunately, if your trip was not part of a package but consisted of separate arrangements, and the rate applicable to the room was non-refundable, you may not be able to obtain a refund in this instance, irrespective of the circumstances that led to the cancellation, no-show, etc. Therefore, unless the hotel is willing, at their sole discretion, to accommodate your request or offer some other gesture, it may not be possible for you to secure redress on this occasion. Alternatively, if you took out travel insurance covering this eventuality, you could consider making a claim to your insurer. Although consumers enjoy a number of protections under legislation dealing with cancellations concerning passenger transport and package holidays, there is no sector-specific legislation laying down such entitlements in the case of hotel accommodation booked independently. Such cases are simply governed by the terms and conditions applicable to the reservation, and other general legislation in the field of consumer law. If you want more information about this or any other cross-border consumer issue, please contact us on 01 8797 620 or go to www.eccireland.ie. You can also follow us on Twitter. The European Consumer Centre is part of the European Consumer Centres Network (ECC-Net), which covers 30 countries (all EU countries plus Norway and Iceland), and offers a free and confidential information and advice service to the public on their rights as consumers, assisting customers with cross-border disputes. 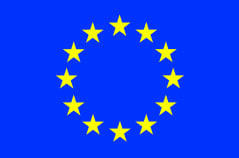 ECC Ireland is funded by the European Commission and the Competition and Consumer Protection Commission. Disclaimer: Whilst every effort is made to ensure accuracy, the European Consumer Centre cannot be held responsible for matters arising from any errors or omissions contained in this publication. The information provided is intended as a guide only and not as a legal interpretation. © 2018 – European Consumer Centre (Ireland), CLG incorporated in Ireland, No. 367035, Registered Charity No. 20048617 – CHY14708. Located at MACRO Centre, 1 Green Street, Dublin 7. 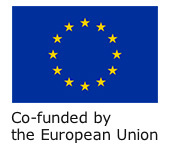 This ebulletin was funded by the European Union’s Consumer Programme (2014-2020). The content of this ebulletin represents the views of the author only and it is his/her sole responsibility; it cannot be considered to reflect the views of the European Commission and/or the Consumers, Health, Agriculture, and Food Executive Agency (CHAFEA) or any other body of the European Union. The European Commission and the Agency do not accept any responsibility for use that may be made of the information it contains.